Found one file extension association related to MediaBrowser and 1 file format developed specifically for use with MediaBrowser. 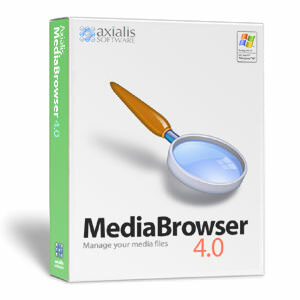 Axialis MediaBrowser has been designed to let you easily manage your media files. It will be very helpful to you to organize and retrieve your favorite media files. With its built-in thumbnail explorer (with image and movie previews), browsing your computer folders for media files will be a child's play! You can even create slideshows that mix several media types. If you need more information please contact the developers of MediaBrowser (Axialis Software), or check out their product website.